mwe3: Congratulations on the new Elevation album. It sounds like a guitar lovers dream come true! To my ears, it seems like the guitar sounds are much more present in the mix and theres some great guitar sounds and textures from you, Shahin and Buckethead on the new Elevation album. How would you describe the chemistry between you, Shahin, Buckethead and Jim Hoke on guitars and what other musicians were key to the album success? 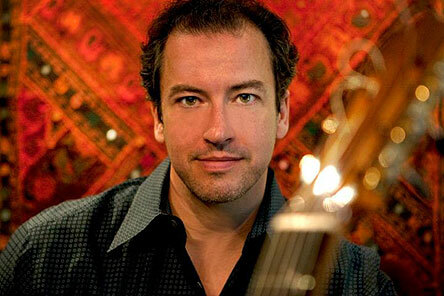 LAWSON ROLLINS: We have 20 different musicians on the album, recorded in Iran, Nepal, and the U.S., and meshing all the performances into a cohesive whole was definitely exciting and challenging. The key to successfully combining all these multiple styles is finding musicians at the top of their field who share an enthusiasm for what you are trying to accomplish musically. When you work with people you respect and trust you know they are going to find the best way to fit into the songs and you let them do their thing. Working with Shahin Shahida, Buckethead, and Jim Hoke was effortless and a pure pleasure, as was the collaboration process with the other guest artists. Typically, I have all of my guitar parts completed before I present the songs to the musicians. The structure of the song, the main melodies, etc., are all there for the musicians to create and improvise on top of. Of course, I leave myself the option to go in and reshape my own parts when needed, but generally I have a vision of how the songs should sound and its then a matter of picking the right musician to bring aboard. For example, with the song Daybreak I kept hearing pedal steel guitar meshing with the cello, so we connected with Jim Hoke in Nashville who really delivered the goods. Same with Bucketheadtwo songs called for the incendiary lead guitar work he is known for and he delivered stellar performances on Ghosts of Alcazar and Slow Ascent. He was gracious enough to do a 20 second cameo on a third track, the title song Elevation, that really called for a soaring electric guitar melody. I had recorded my own version on a PRS electric guitar and just couldnt get what I needed, so Bucket came to the rescue. My go-to violinist, Grammy-winner Charlie Bisharat, is another guy you can count on to deliver just what a song calls for. You can hear his lush string section arrangements all over the album, along with his virtuoso lead violin. Once you find the right ingredientthe right musician, that isthings fall into place naturally and easily and the chemistry is infectious with everyone on board the project. mwe3: How would you compare the sound and musical direction of the new Elevation album with your first two solo albums Infinita from 2008 and Espirito from 2010? What were you striving towards musically and compositionally on the Elevation album? LR: Coming off Espirito it really was a challenge to decide what direction to go in next, but when I wrote the title track "Elevation" early on in the process of making the new album, a direction emergedto make the music as emotionally intense as possible and create room for the songs to build and grow in more of a cinematic fashion rather than adhere to the tighter song structure I had previously been working within. I refer to the songs in "Elevation" as soundscapes that are meant to take the listener on an emotional, musical journey over the course of the 74 minutes of music. I assembled the widely eclectic ensemble of musicians for "Elevation" to add to the dramatic effect, including some wonderful musicians recorded in Nepal and Iran. Together, we infuse each track with moments of intensity that elevate the music to emotionally-charged high-points, followed by periods of spaciousness and calm. The concern was more with conveying a feeling and mood rather than a catchy melody, and this became a motif throughout the entire album. I suppose Elevation could be described as more cinematic than my past releases. mwe3: What did Shahin and Dominic Camardella bring to the table as co-producers this time with you? How did you meet those two players and how about William Aura? Now theres a guy who was a key element to the success of New Age music back in the late 1980s. 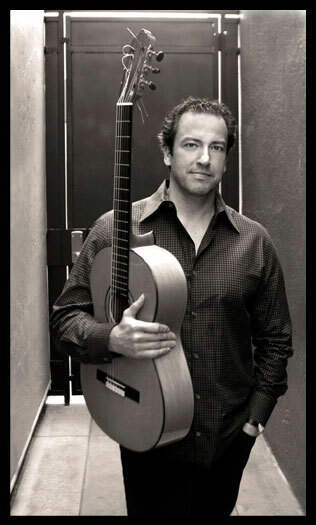 LR: Several of the key players on the album are people I worked with on past projects, such as Persian-American musician Shahin Shahida of Shahin & Sepehr fame, Dominic Camardella, a veteran producer of such artists as Flora Purim and Ottmar Liebert, and Grammy winning violinist Charlie Bisharat. But for the new project we went farther afield and organized some recording sessions in Nepal with my friend William Aura of 3rd Force who works in Nepal regularly, and also in Iran through my co-producer Shahin, who is originally from Iran. The Nepali musicians brought an almost otherworldly sound to the mix through their performances on the Himalayan flute, tabla, and sarangia kind of fiddle instrument with an aching beauty to it. In Iran, Shahin was also able to record a santur virtuoso and a famous Iranian vocalist while he was there during the summer uprisings of 2010. Something about that tumultuous time in Iran came through in the intensity of the performances. mwe3: Where did you record Elevation and how did you approach this album in the studio? For instance did you use a lot of overdubs or mostly live takes. Did you use ProTools when you record and what else was involved in the recording process? LR: As I mentioned, we recorded several musicians in Nepal and Iran for the album, so a lot of what we did was editing the musical material captured in these far-flung locales after the fact, picking the best takes, and meshing them into the album. With language barriers, and not always being face-to-face, sometimes its best to just let the musicians take several improvisational passes at the tracks, then sort it out later in editing. ProTools really helps with this. The primary recording, editing, and mixing occurred at Santa Barbara Sound Design, owned by co-producer Dominic Camardella. He is one of the best engineers when it comes to recording nylon string guitar and I have done my last 3 albums with him. He uses ProTools HD and a state-of-the-art Rupert Neve 5088 analogue console, which returns some of the warmth of analogue to the digital universe. Of course he also has a full arsenal of vintage Neve pre-amps and an assortment of vintage microphones that bring warmth to the guitar tones. So we recorded the guitars in Santa Barbara along with several of the Los Angeles based musicians, like violinist Charlie Bisharat, and then we imported the material recorded abroad into the ProTools sessions and spent hours combing through what we had to work with to find the choice parts. mwe3: What does mastering an album have to do with its final sound on CD? I know you put a lot into the Elevation mastering process and it sounds like it. Also who pressed the Elevation CD? LR: Mastering is a crucial step that can make the difference between an album sounding bland and sonically undefined or one that is sparkling, dynamic, and crystal clear. We used Gavin Lurssen in Los Angeles for Elevation and he really did a find job of bringing clarity to these massive tracks that have so many layers of instrumentation. The CDs were pressed by the ever-reliable plant, Rainbo Records. mwe3: I know youre featuring, in addition to the CD, a special hi-resolution download of the Elevation album. Can you say something about the future of downloads and CD as an art form too? 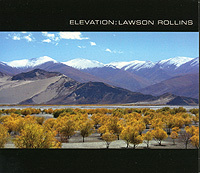 How many different places can you buy the Elevation CD and also download the CD or tracks from the CD? LR: I am not thrilled with the sound quality of the average download service or the streaming services, though I admit I use these technologies everyday and love them for the sheer convenience and unlimited access to recorded music they offer the user. But highly compressed music files are the equivalent of going into an art museum and looking at a fine painting with a film of wax paper covering it. That is what compression does to musicit clouds the detail. With acoustic instrumental music like mine, this is really a problem. My hope is that technology will continue to improve the resolution of music downloads and make high resolution files the default format. Currently, you can purchase my music on Amazon.com and all the conventional download and streaming sites, but if you want to get a taste of true high resolution downloads, go to LinnRecords.com where you can find my musicand a growing roster of other artistsin 24-bit/88.2Khz detail, which is much better than even CDs. A track you might purchase from iTunes that is 7 megabytes in size suddenly becomes a 150 megabyte file on Linn Records and the difference in audible detail is profound. mwe3: Can you say something about the cool Elevation art work? How do you choose your album titles and how about choosing Elevation as a title this time? Deciding on an album cover was at first difficult, but when I saw the photo of the Himalayan mountain range taken by my brother it seemed like a logical fitthe picture is not only gorgeous, but it has a literal connection to the Nepali musicians recorded in that part of the world who ended up playing such a large role in the album, while artistically the photo of the lofty peaks and ethereal blue sky evokes the elevation vibe I was going for in the music. mwe3: Are you still playing and recording with the Pedro Maldonado guitar and what other guitars do you record with on the Elevation CD? How about your choice of guitar strings? Can you also say something about the guitars that Shahin, Buckethead and Jim Hoke also play on the album and will there be a Lawson Rollins signature guitar one day? LR: I have recorded exclusively with the Maldonado on the past three albums. Its totally custom to suit my needs and I love it. Recently, though, I purchased a traditional flamenco guitar from Lester DeVoe, who builds guitars for the likes of Paco de Lucia. It lacks the cutaway of my Maldonado, so I wouldnt use it much for soloing, but its perfect intonation makes it ideal for melodies, harmonies, and rhythm guitar. I look forward to using the DeVoe on my next album. I am not sure there is enough demand for a Lawson Rollins signature model, but I am sure Maldonado would be happy to make replicas of the one he did for me for anyone interested. I use LaBella stringsthe 2001 series classical hard tension. Shahin uses a variety of guitars but I believe his main one on Elevationwhich you can hear to great effect on the track Voyagers Taleis a vintage Gibson Les Paul. Buckethead naturally uses his very own signature model Gibson. mwe3: What kind of music are you listening to these days on CD and how about recent favorite movies or movie soundtracks? LR: Having had the pleasure of working with Buckethead, I have recently enjoyed exploring his extensive and diverse catalog. He is a fountain of creativity and truly at one with the guitar. His album Electric Tears that he did with Dominic Camardella at Santa Barbara Sound has been in heavy rotation at my houseits a profound and moving work with a consistent vibe that draws you in. I have a similar feeling about the new Terrence Malick film Tree Of Life and its transportive, emotionally compelling soundtrack. The original score by Alexandre Desplat, complemented by classical works from the likes of composer John Tavener, a favorite of mine, creates a powerful audiovisual experience. mwe3: What else is set to follow for the Elevation album and beyond? LR: I am already embarking on the next recording project and also plan to release some remixes of selected tracks from my past three solo albumskind of a best of but with a new twist on the music with a focus more on highlighting the other musicians I have worked with and their performances that sometimes lie deep within the layers of instrumentation on the album versions of the songs.